Burbank, CA (June 14, 2012) - It doesn't take a rocket scientist to understand why audiences continue to fall in love with the geniuses from Caltech. 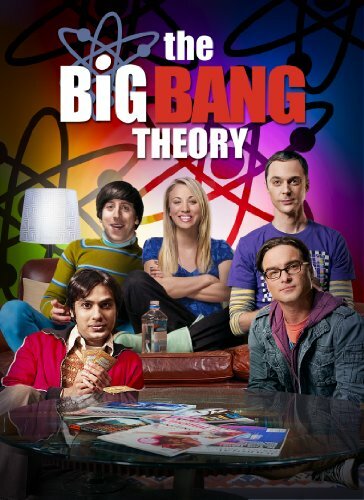 Now America's favorite physicists are back with a bang as Warner Home Video (WHV) releases The Big Bang Theory: The Complete Fifth Season on DVD and Blu-rayTM Combo Pack on September 11, 2012. In its fifth season, airing Thursdays at 8/7c on CBS, The Big Bang Theory was the #1 comedy on network television among Total Viewers, and in its first year in off-network syndication, the series ranked as the #1 show in all of syndication among Adults 18-49 and 25-54*. Coinciding with the show's highly-anticipated sixth season premiere, The Big Bang Theory: The Complete Fifth Season will be available for an SRP of $44.98 on DVD and $54.97 on Blu-rayTM Combo Pack. In The Big Bang Theory: The Complete Fifth Season , Penny and Leonard's relationship is relaunched in full "beta test" mode, while Sheldon, Howard, and Raj discover the feminine mystique is something that cannot be easily graphed or calculated. As Sheldon makes begrudging amendments to his "Relationship Agreement" with his "friend-who-happens-to-be-a-girl," Amy Farrah Fowler, Raj contemplates an arranged marriage, and Howard is all-systems-go for both his NASA launch and wedding to the spirited Bernadette. "Now approaching its sixth season, The Big Bang Theory has become a supernova in the television landscape. It continues to draw new, passionate fans to its already large consumer base, as evidenced by continued growth in all areas - DVD sales, CBS viewership and syndication viewers," said Rosemary Markson, WHV Senior Vice President, TV & Special Interest Marketing. "We are thrilled to offer this mega hit to fans in the ultimate home entertainment package - the Blu-rayTM Combo Pack. Giving consumers more ways to watch at an outstanding value, this edition includes all 24 episodes on both Blu-ray and DVD discs as well as UltraVioletTM for digital download and instant streaming!" The Big Bang Theory: The Complete Fifth Season five-disc Blu-rayTM Combo Pack (2 Blu-rayTM discs, 3 DVD discs) features a hi-definition Blu-rayTM, standard definition DVD and a standard definition UltraVioletTM copy of all 24 episodes from Season Five. UltraVioletTM allows consumers to download and instantly stream the episodes to their computers, tablets and smartphones. The UltraVioletTM episodes are a limited-time offer. Restrictions and limitations apply. Go to ultraviolet.flixster.com/info for details. The Blu-rayTM will be released in 1080p Full HD Video and will feature DTS-HD Master Audio for English 5.1. The Big Bang Theory was created by Chuck Lorre (Two and a Half Men) & Bill Prady (Dharma & Greg), who also serve as executive producers along with Steven Molaro (The Class). The series stars Emmy(R) and Golden Globe(R) nominee Johnny Galecki (Roseanne), Emmy(R) and Golden Globe(R) winner Jim Parsons (The Muppets), Kaley Cuoco (Hop), Simon Helberg (A Serious Man), Kunal Nayyar (Ice Age: Continental Drift), Mayim Bialik (Blossom) and Melissa Rauch (True Blood). * Source: Nielsen Galaxy Explorer, Live+SD, 2011-12 Season = 9/19/11-5/23/12, excluding specials.